The 1963 Stanley Cup Final was contested by the defending champion Toronto Maple Leafs and the Detroit Red Wings. The Maple Leafs would win the best-of-seven series four games to one to win the Stanley Cup, their second straight NHL championship. 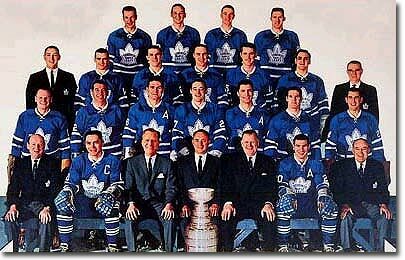 The 1962 Stanley Cup Final was contested by the defending champion Chicago Black Hawks and the Toronto Maple Leafs who had last appeared in the Final in 1960. The Maple Leafs would win the best-of-seven series four games to two to win the Stanley Cup, their first since 1951.